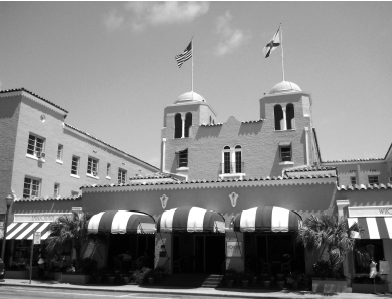 After a delicious lunch of pizza at the Monticello Pizza Kitchen, which, by the way, is also haunted, Betty, Lisa, and I headed for Tallahassee and the Knott House Museum just down from Florida’s Old Capitol in the Park Avenue Historic District. 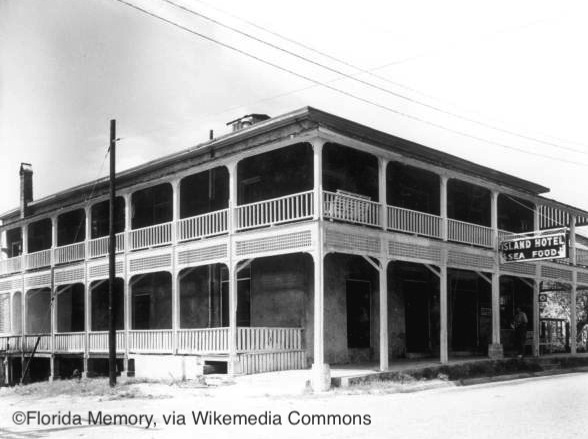 The area around what is now Tallahassee has been occupied by various indigenous and European cultures for twelve thousand years. 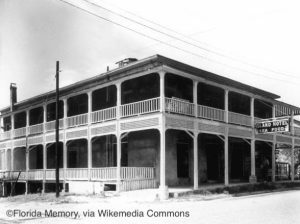 Soon after the United States took possession of Florida from the Spanish in 1821, the Territorial Governor, William P. Duval, laid out the city, and in 1824 it became the territorial and later state capital of Florida. It is a beautiful city. Its rolling hills, wide boulevards, stately buildings, various college campuses, and numerous parks give Tallahassee a genteel ambiance. And the Knott House with its handsome Greek Revival facade only adds to that atmosphere. The house was built in 1843 by free-black builder George Proctor as a wedding gift for Thomas Hagner and his wife, Catherine. Thomas died in 1848, but Catherine remained in the house and added major additions to the rear. She turned it into a boarding house, presumably to supplement her income. At the end of the Civil War, Union General Edward McCook commandeered the home for his headquarters. He read President Lincoln’s Emancipation Proclamation from the front steps on May 20, 1865. Today a ceremony on May 20 every year commemorates the event. William died in April 1965 at 101 years of age; Luella fell and died a few days after that. Charlie then moved into his family home, determined to preserve it as his parents had left it. 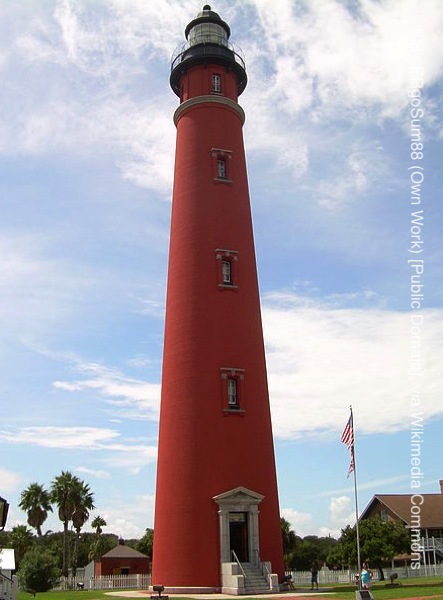 And when he died in 1985, he left it to the State of Florida, stipulating that it be maintained as a museum house. 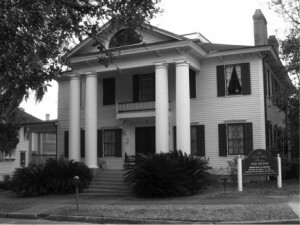 The Historic Tallahassee Preservation Board took charge of the property, and after spending more than one million dollars and several years of preservation and restoration efforts—the restoration team found evidence of earlier fires, which had to be addressed—the museum finally opened to the public in 1992. Walking through the house is eerie. It is so complete and looks so lived in, I expected to see the lady of the house, Mrs. Knott, around every corner and in every room. There are four thousand books, three hundred pieces of furniture, and fifteen hundred personal items and art work. Books lie open on tables. Personal effects are strewn about. I would not have been surprised to see a steaming cup of coffee sitting on the counter in the kitchen, waiting for Charlie to come in and pick it up. I felt as if I were invading the Knotts’ privacy, as if I shouldn’t be there. But it is a beautiful house and extremely well maintained. 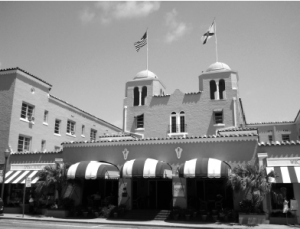 Tours in the past used to be self-guided, but are now led by knowledgeable docents. That’s probably a good idea. Betty and her BBGT crew have been through the house many times. In past years, the curator hosted a “Fear Knott” event around Halloween as a fund-raiser. Betty, Lisa, and their team gave presentations and “haunted” tours through the house in the evenings. 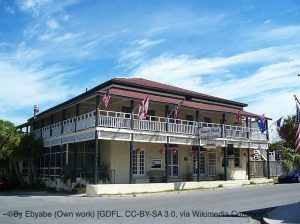 They also have conducted paranormal investigations in the building and have spent many nights there after the museum was closed. 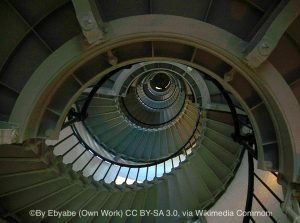 The most frequent experiences reported by BBGT investigators, visitors, and staff are footsteps. They are heard throughout the house. Sometimes they are very heavy like a man’s, and at other times lighter, as if a woman were walking around. They could very well be Charlie’s father, his mother, or Charlie himself. All three had a special passion for the house. 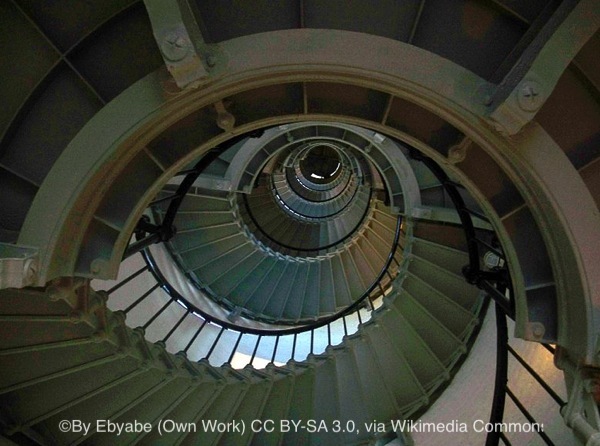 Once in the days when the tours were self-guided, a visitor rushed down the stairs breathless. A staff member was standing at the bottom. The visitor, quite excited, said, “I believe I’ve just seen a ghost!” The staff member, who’d had her own experiences, asked the lady what had happened. “Well, I just went into the first room on the right at the top of the stairs, and there was an older woman dressed in old-fashioned clothes standing there. At first, I thought she was a docent or something, but she just stood there and looked at me. And then she evaporated into thin air!” On several other occasions, visitors have reported seeing people throughout the house who appeared to be visitors as well, only to vanish before their eyes. Perhaps Charlie, his parents, and maybe even his friends are walking the halls. In the past, various staff members have reported items being moved around. Perhaps a book has been taken from a shelf in the library and left on a table somewhere else, pictures rearranged, fireplace tools misplaced, pages of music on the piano turned. At the end of each day, the outside doors to the Knott House are closed and locked, of course, but inside doors are always left open to provide air circulation. Often when staff members arrive in the morning to unlock the house, those inside doors are all closed. And passersby late at night have reported seeing lights switching on and off inside the locked and empty house, as if someone was going from room to room. In the Knott House Museum, Betty and her BBGT investigators have experienced just about every activity others have reported. They’ve also had another experience. During one investigation, Betty and Lisa were sitting downstairs, quietly listening, when they heard humming coming from upstairs. It sounded like a woman softly humming a lullaby to a baby. When they went through every room in the house to try to find the source of the sound, they could hear it everywhere but were never able to identify its location. The Knott House Museum is a “must-see” stop for anyone visiting Tallahassee. The visitor will find the most completely restored nineteenth-century house in Florida, and who knows? You might get to meet Mr. and Mrs. Knott or their son, Charlie. Chasing ghosts across the length and breadth of Florida had been a thrill so far. I’d met dozens of wonderful people and had many exciting experiences, but like any road trip, it could wear you down. And after many weeks and hundreds of miles, I was getting tired and was thinking of taking a break from my travels. That’s when I met Bud and Brenda Hoshaw of the Redhawk Ranch, five miles south of Wimauma. They invited me to their ranch and spiritual retreat center, and I quickly accepted. From the moment I passed through the gates, I felt at peace, completely relaxed. But the tranquility and serenity of the place belies its violent past. 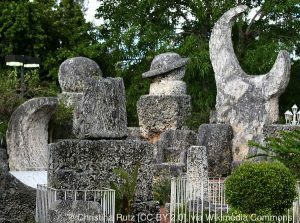 Indigenous people occupied the area around Tampa Bay and the southwest coast of Florida for thousands of years. 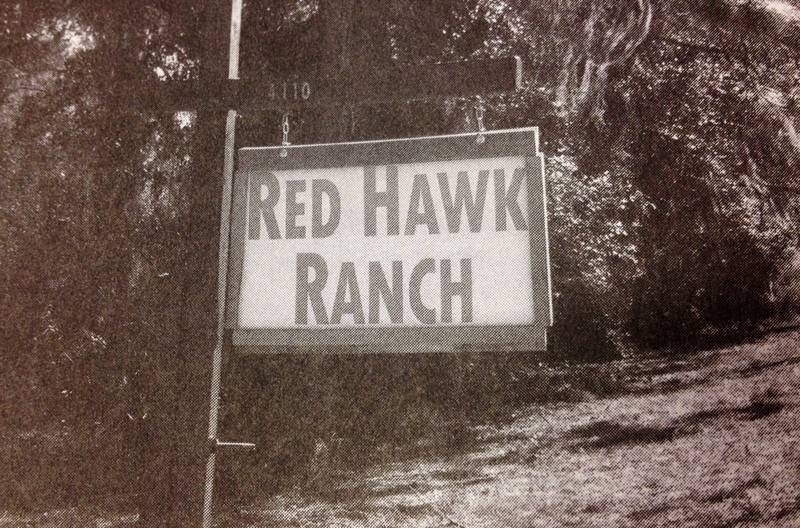 There is strong evidence that some of them lived on what is now the Redhawk Ranch. Tocobaga and Calusa tribes made their homes along the stream that flows along the south side of the retreat center. 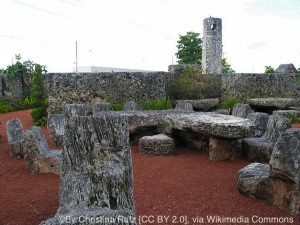 The Calusa were powerful and dominated the area from just south of Tampa Bay to Fort Myers and inland to Lake Okeechobee. 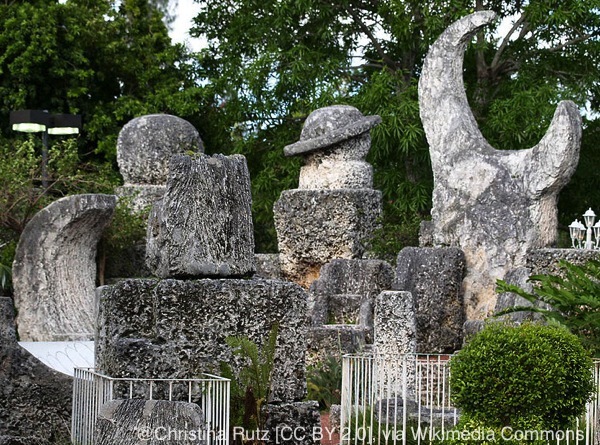 Their original name, Calos, meant “Fierce People,” but they, as well as the Tocobaga to the north, were no match for the Spanish conquistadors who came into the area in the 1500s. Hernando de Soto, who landed in the Tampa Bay area in May, 1539, was especially brutal. De Soto’s troops raped, murdered, mutilated, and slaughtered innocents with abandon. They even had trained greyhounds that attacked on command. The Spanish fed the dogs human flesh. Smallpox, measles, and other diseases brought in by the Spanish further decimated the native peoples in the area. In time the land passed into the hands of white settlers, and the Indians were no more. But something or someone wanted Native Americans back on the land. Bud and Brenda Hoshaw are Native Americans, Bud part Menominee and Brenda Cherokee and Cheyenne. The story of their acquisition of the 18.5 acres that is now the Redhawk Ranch is bizarre. About twelve years ago, Bud and Brenda lived in a beautiful log home about four miles away. This house on five acres was their dream home, and they were quite happy. Then one day Brenda was on her computer when an advertisement for an 18.5- acre tract nearby popped up. She thought it strange, because she had been researching other things, not real estate. She deleted the ad and went back to work. The ad popped up again, and over the next ten days every time she went on the computer to Google something, the advertisement came up. Redhawk Ranch is available for camping, meditation, and Native American ceremonies. Finally, Bud told her, “Let’s call the realtor. This obviously means something.” And so they did. Carl Weiss took them to the property on Route 579, which turned out to be hard to find, because the large “For Sale” sign had fallen over and couldn’t be seen from the road. The frontage was completely overgrown and there was no drive into the place, although two rotting gate posts stood several yards off the road. But as soon as they stopped and got out of the car, Brenda knew she had to have the property. Brenda is psychic, and the first thing she saw was an Indian by the old gate posts. He seemed to be a sentry or lookout. And as they walked the property, she felt and saw other entities, including a red hawk. In the northeast corner, she was almost overcome by the beauty and peace of the place. A bank in New York owned the property, and when Bud and Brenda discovered what the bank was asking, they were dismayed. They couldn’t afford it. But Brenda prayed about it and knew they were supposed to be there, so they made an offer—one third of the asking price. The bank accepted their offer without even a counter offer. Stranger still, they discovered later that another man had gone around the realtor and directly to the bank with a much better offer and was refused. On one recent occasion, Brenda invited several sensitive friends down for an evening of “ghosthunting.” Claire Castillo, Frank and Debbie Visicaro, Rick and Denise Incorvia, Cynthia Anderson, and Helen Bender all assembled with Bud and Brenda in their living room. They were asked to walk around the property without discussing their experiences and then write down whatever ever they saw, smelled, heard, or felt. After everyone was finished they would gather and tell the group what they had experienced. Three hours later, they all returned to the living room, excited by what they had encountered. To begin, several of them felt that the whole area had once been underwater, and as geological changes had occurred, it had become dry land. There was also some sense that a stream once existed next to the driveway. They also felt that the stream running along the south side of the property had once been much wider and deeper. Debbie and Rick agreed that this area had once been a village. They both had a vision of a panicked group of women, children, and old men getting into two canoes on the stream in the southwest corner of the ranch and fleeing. They felt that the village was under attack by white men. 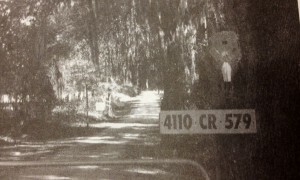 Not far away, several members of the group sensed a burial ground. Farther upstream Brenda had a vision of an area where women gave birth. Possibly a hut of some kind once stood there. She said her knees went weak, and she had difficulty breathing. There was high energy all along the stream. Frank also had a vision of several Spanish swords lying on the ground near the northeast corner in the vicinity of Bud and Brenda’s Sacred Circle. He also saw what he thought was an angel, a wolf, and an owl, which he sensed were keeping them safe from deception. Near the creek he had the feeling that a child had drowned. 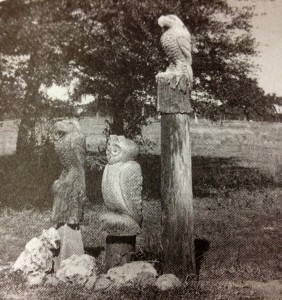 Denise and Bud saw a chief that was made of wood, its head covered with brightly colored wooden feathers. And almost everyone saw wraith-like wolves, eagles, coyotes, dragonflies, and even a white horse, in addition to the ghosts of two young white girls. Cynthia said she sensed a brave showing off the horse in a camp right behind the house. 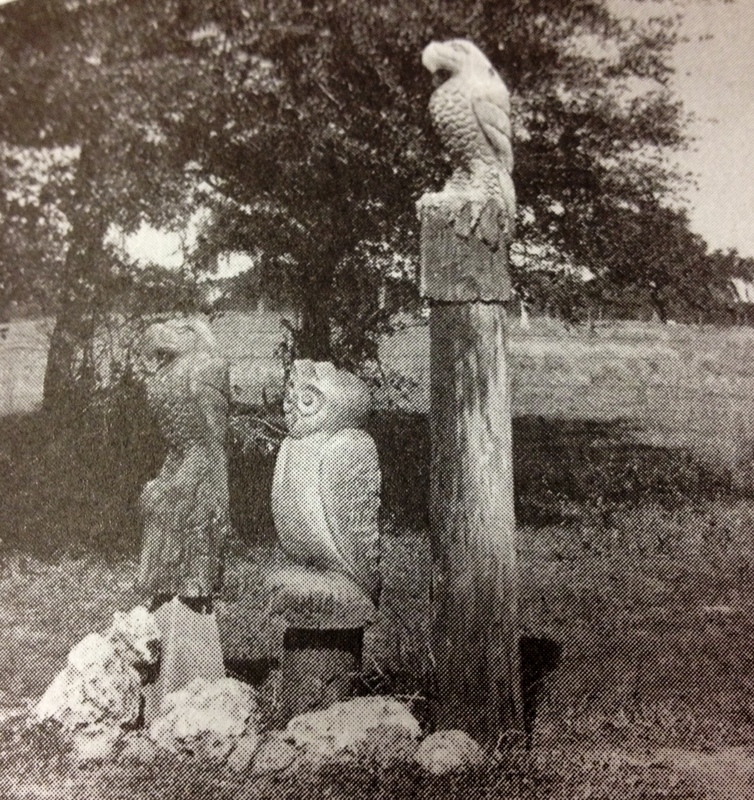 Carved owls stand watch over Red Hawk Ranch. And we walked out into a circle of trees in the center of the field which fronts the house. Bud produced a compass and handed it to me. When I stood exactly in the center of the ring of trees, the north arrow pointed north, but if I moved one step to the left, the needle swung left. If I stepped one pace to the right of center, it swung to the right. Very curious. Bud and Brenda have several mastiffs for security. They are sweet dogs, but Bud is careful to pen them when strangers are around, because they are very protective. On my visit, Bud was with me when I got out of my truck, so all they did was lick my hand and vie for attention. I love dogs, and we made friends quickly. When I drove away from the house and stopped across the field at the Sacred Circle for one last look, the dogs came bounding after me, crowding around and begging for attention. When I finally walked back to my truck, opened the door, and started to step up, Butkus, their big male who doesn’t weigh much less than his namesake, sat on my foot and looked up at me with soulful eyes. He didn’t want me to leave. “I know, pal. I don’t want to leave either, but I’ve got to go.” With that he raised his rump and licked my hand goodbye. Driving away, I laughed out loud with happiness, totally revived and ready to get back on my haunted road trip. The Redhawk Ranch is a fantastic place, and when I finish with this book, I’m going back for a nice, long stay. I hope I can finally meet some of these friendly ghosts in person. 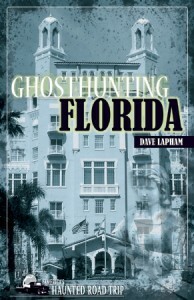 For more ghosthunting stories in Florida check out Dave Lapham’s book Ghosthunting Florida.